pescando en el caribe con capitan salas. Un exelente dia de pesca en playa del carmen, salimos a las 7 de la mañana y a 3 millas asia el sur de playa del carmen, capturamos un gran pez. Mis amigos de estados unidos estaban muy emocionados despues de 20 minutos de pelea, logramos subir un lindo coronado. Y todos muy contentos. Captain Salatiel Ku Caamal or Captain Salas fell in love with fishing when he was a young boy. He had his first fishing trip at the age of 7 and has been hooked ever since. His passion and curiosity have never stopped growing. 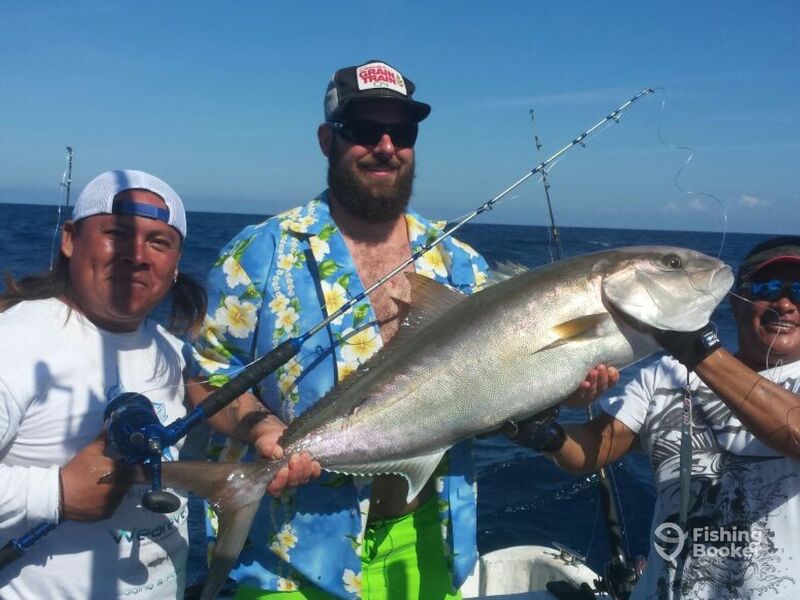 Captain Salas has over 16 years of experience in different types of fishing. He is more than familiar with trolling, bottom fishing, jigging, casting and other techniques. Whenever Salas invites his guests to step aboard his boat, he works hard to make sure everyone feels like home. He is a proud father and a family-oriented person. 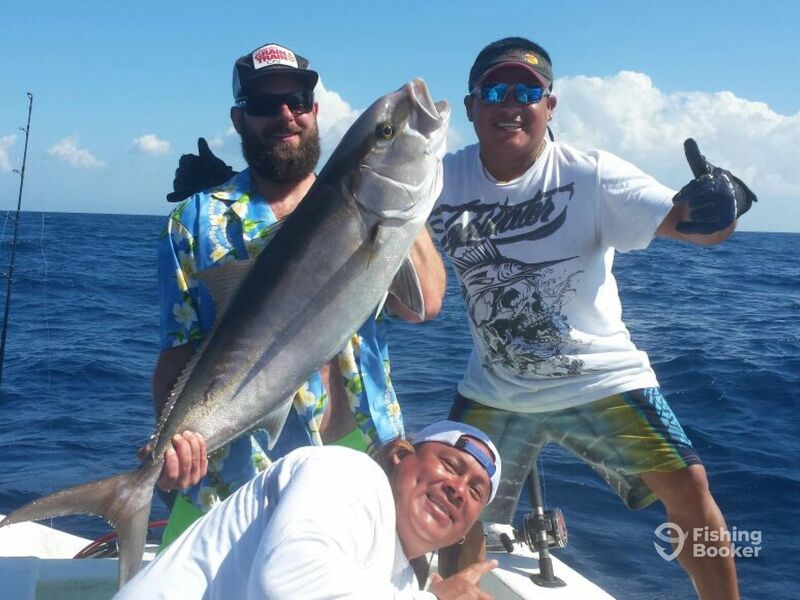 Gardi Crew offers nearshore and offshore fishing charters out of Playa Del Carmen, Mexico. 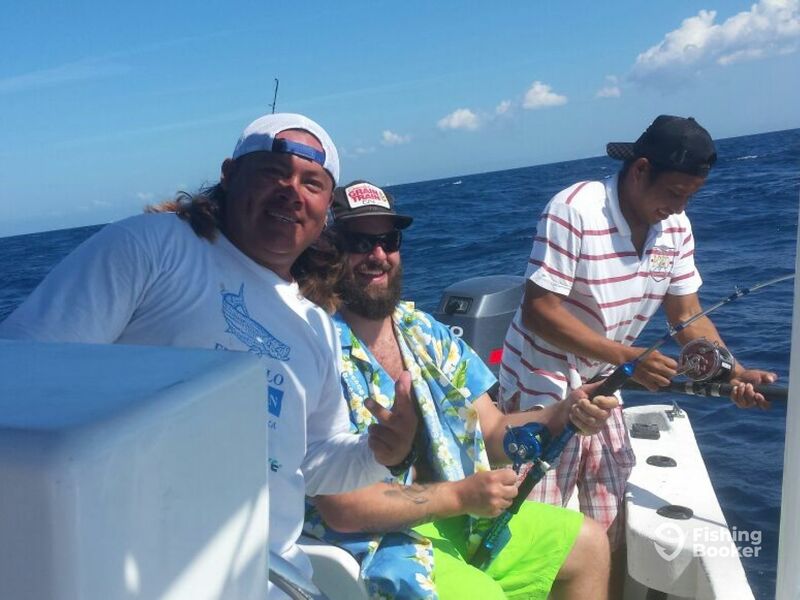 Captain Salas and his first mate are knowledgeable and friendly anglers with many years of experience. The Gardi crew always work hard to put their guests on fish.